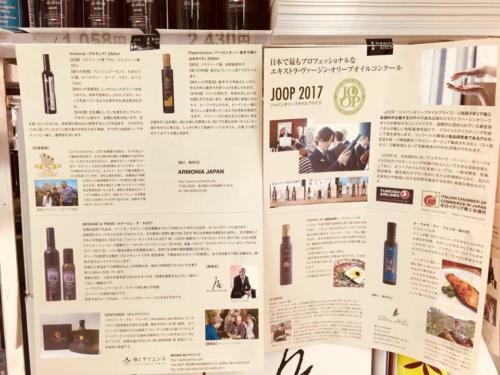 In our efforts to spread a genuine olive oil culture in Japan, the JOOP organizing committee organizes promotional activities featuring the best award-wining EVOO. Award-winning EVOO from Greece and Italy featured a professional tasting and cooking seminar in Aoyama, Tokyo! 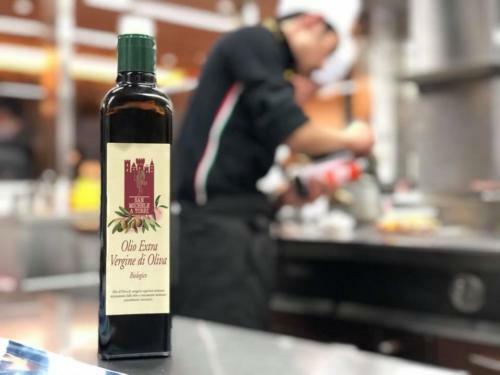 Consumption of high-quality olive oil is increasing! Join now our contest and start developing your brand awareness in Japan! 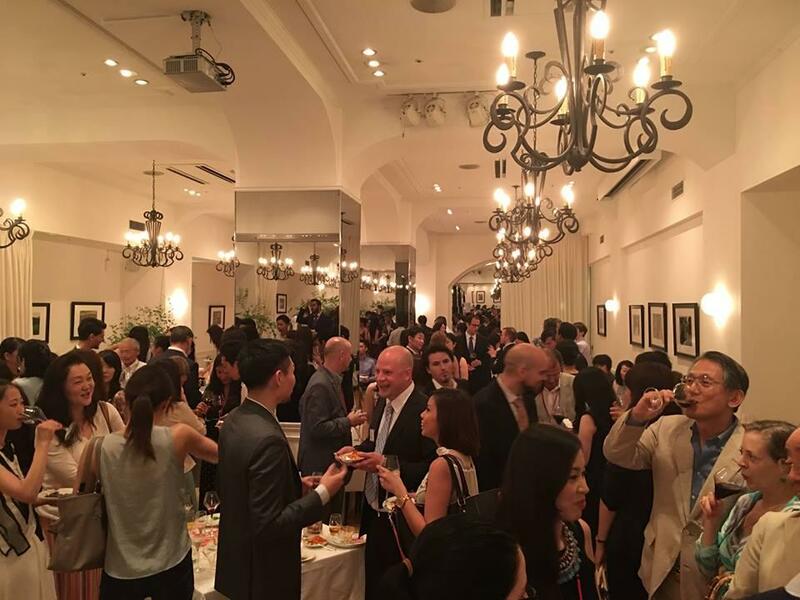 Three award-winning EVOO of excellence featured the end-of-the-year party in Tokyo, held at the Canadian Embassy. We wish you all a happy holiday season and we are looking forward to seeing you all at JOOP 2019! 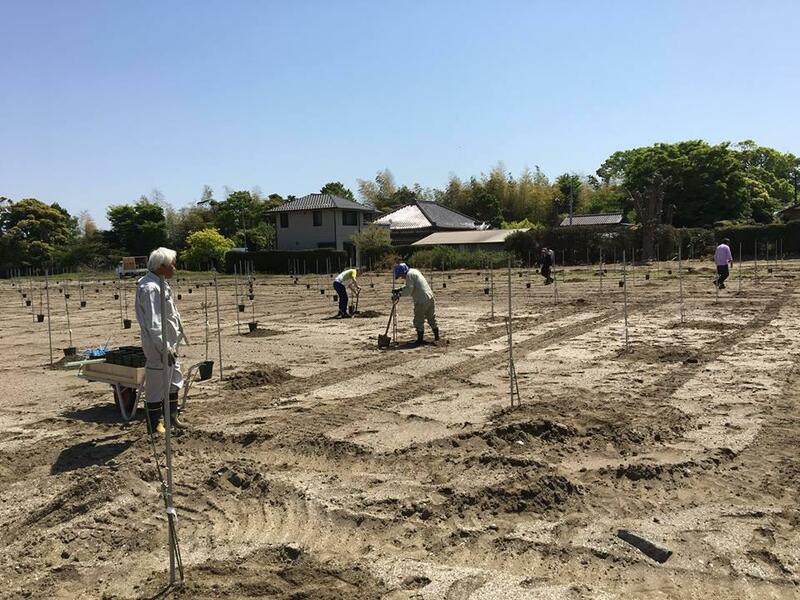 Stay tuned for updates and much more! 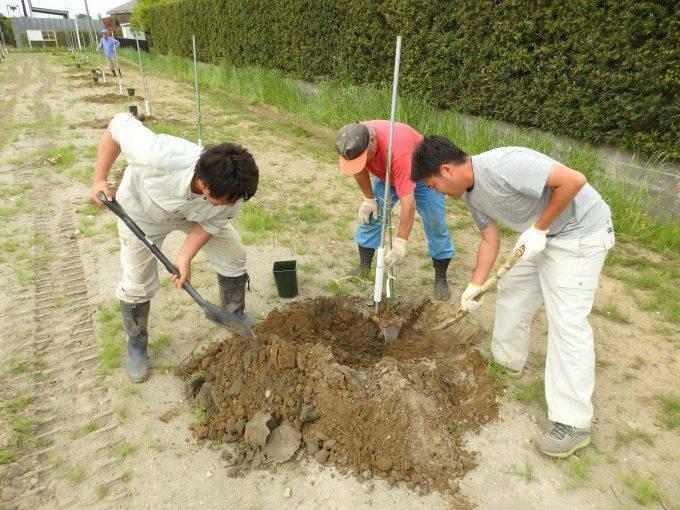 Eu-Japan EPA will enter force on February 1, 2019. 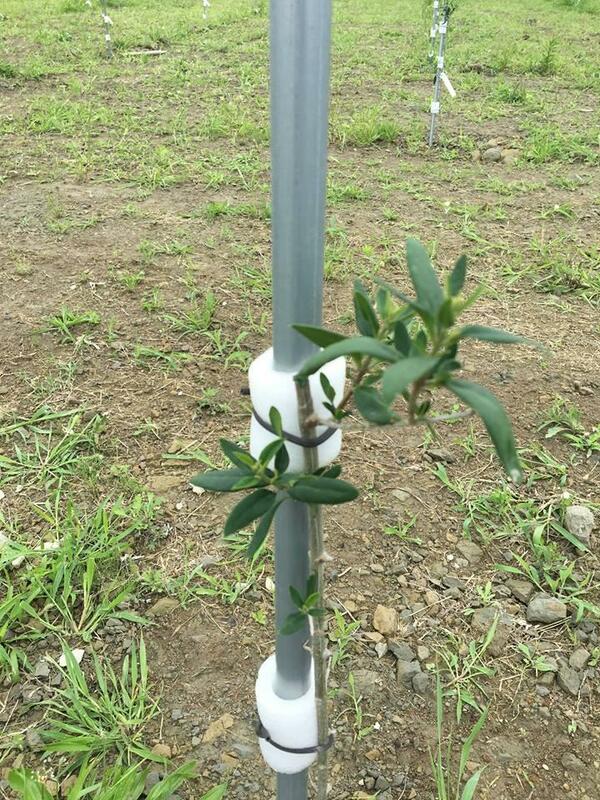 More high-quality EVOO is expected to be imported into Japan. This is the best chance ever to enter JOOP and get recognized! Award-winning EVOO from Italy has been used by the finalists of イタリア料理コンクール – Gran Concorso di Cucina, the most important Italian Cuisine Contest in Japan! 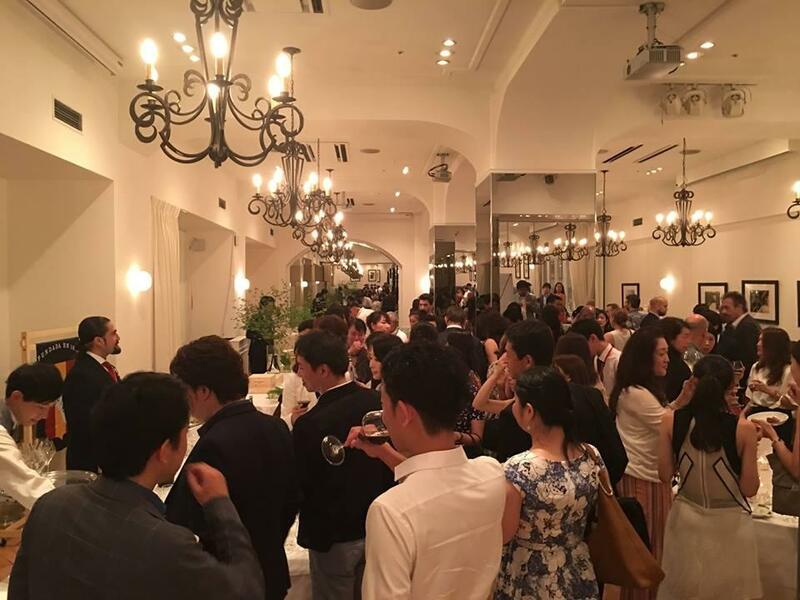 Two of our best monocultivar were used to garnish a delicious buffet dinner during a networking event co-hosted by the Italian, the American and the Canadian Chamber of Commerce in Japan. 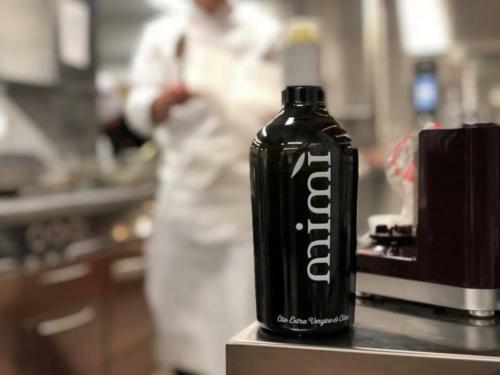 Corti Brothers (US) and Olio Mimì (Italy), your Coratina was definitely appreciated! JOOP is the best way to increase your brand recognition in the Japanese market! 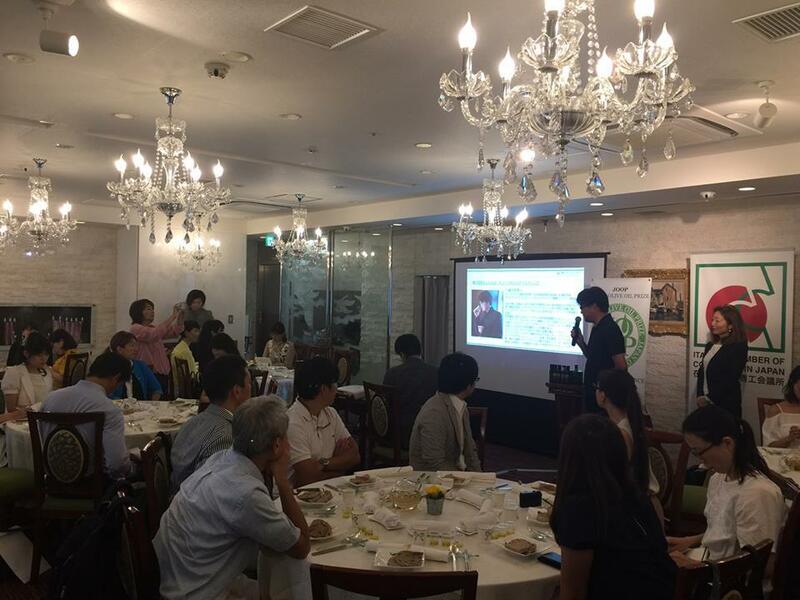 Two seminars on Italian EVOO were held during Italia, amore mio！ – アモーレ・ミオ イタリアンフェスティバル in Osaka. 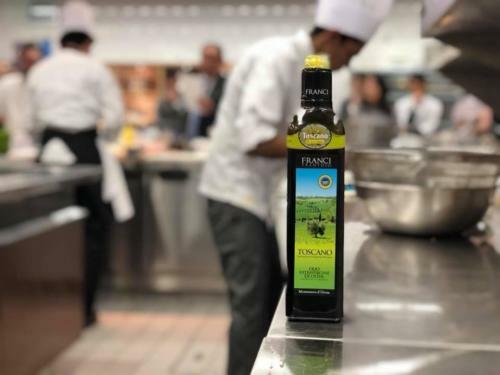 We had the chance to present six of the most representative Italian oils from five different Italian regions to food experts and importers. 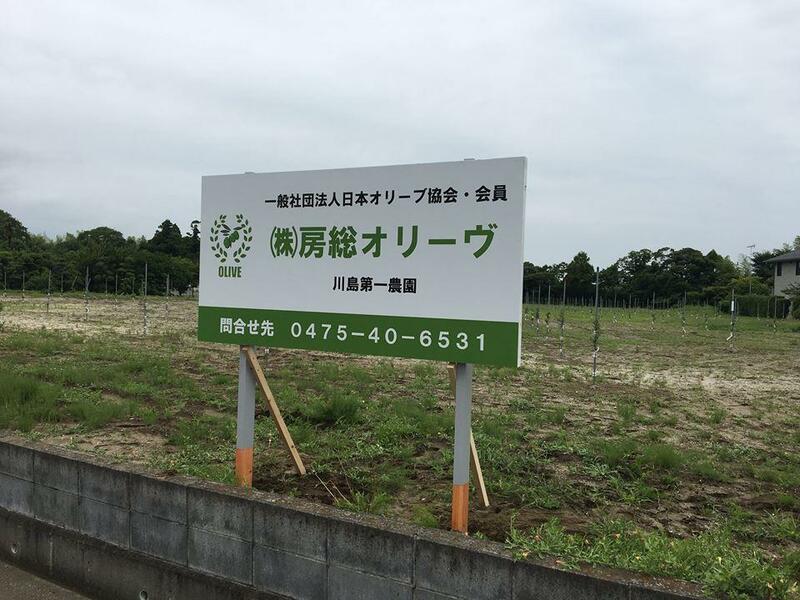 Spreading a genuine culture of EVOO in Japan is JOOP’s paramount goal. 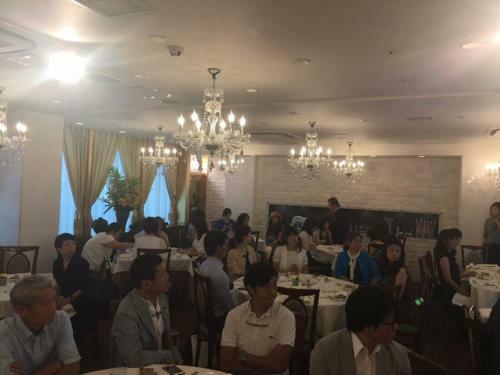 Our seminar for cooking class instructors in Ginza, Tokyo, Japan was fully booked. 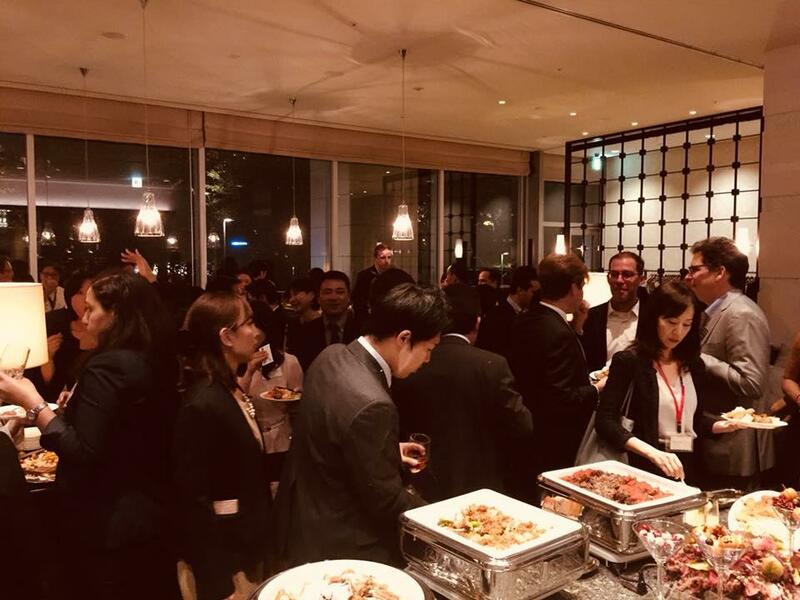 More than 200 guests attended the European Joint Chamber Networking Party 2018 at Shangri-La Hotel, Tokyo. The night was garnished with some products of excellence. Five JOOP Award-winning EVOO were among them. JOOP 2018 Best in Class Award winners presented at ACCI Gusto, one of the most important trade show for Food & Beverage in Japan. 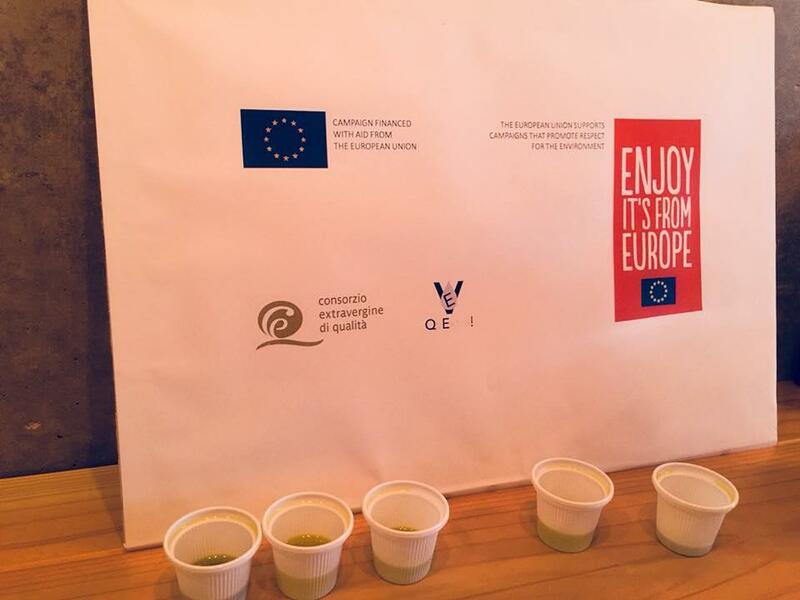 Many chefs and importers had the chance to taste the best EVOO around. Do you desire the same spotlight for your oil? Join the 2019 contest now! 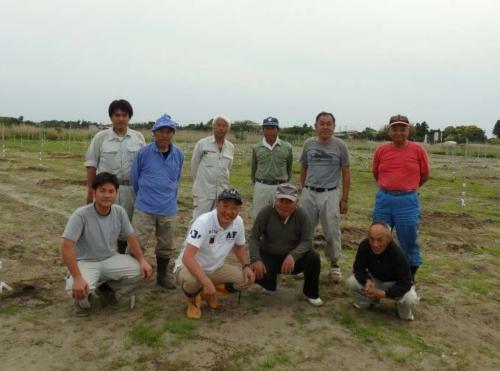 Carmine Cozzolino, the pioneer of Italian cuisine in Japan, used Fattoria Ramerino‘s Cultivar Frantoio for his recipes! 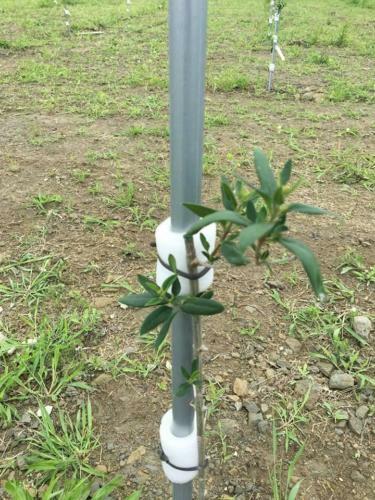 JOOP awards winning olive always find a way to stand out! 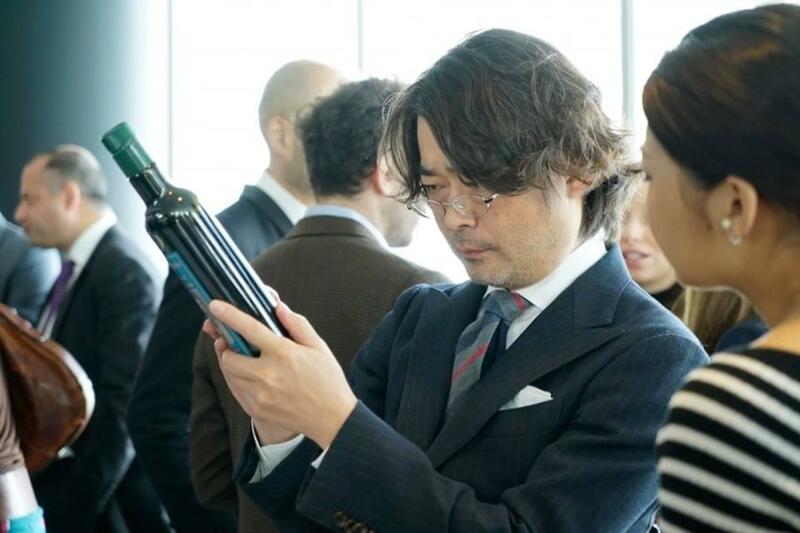 Olive oil history and EVOO tasting procedures with Tetsuo Ogata were the core of a seminar organized with 株式会社味とサイエンス. Spreading the genuine culture of EVOO through lectures and classes in Japan is one of our missions! 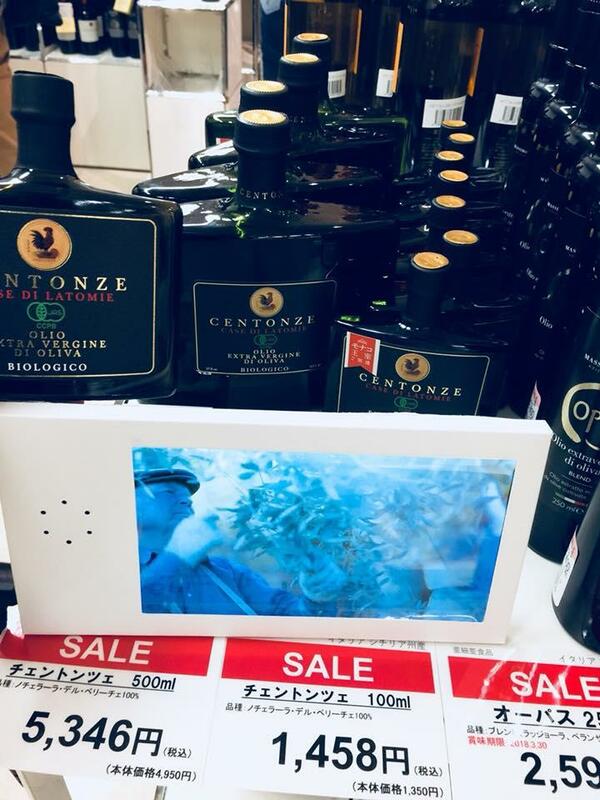 JOOP Award winner Terre di Pantaleo and 蒜山 Oliva Sicula-オリーバシクラ during Italian festival in Nagoya! 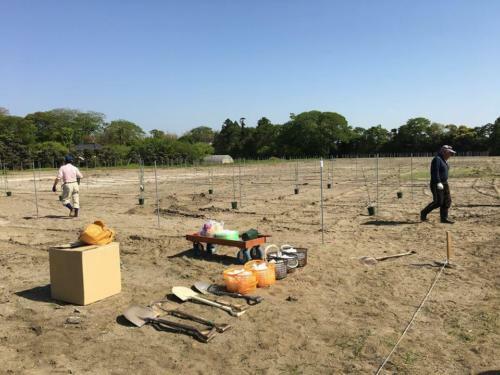 JOOP’s reach goes beyond Tokyo! 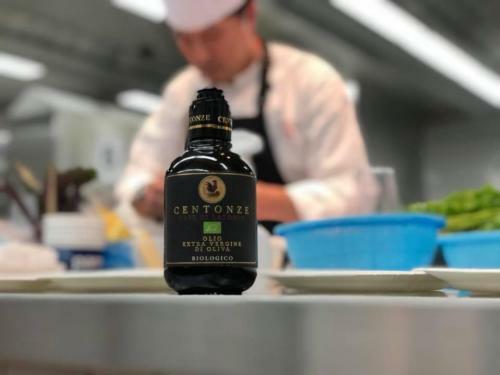 Some of our best award-winning oils were used during a seminar on the vegetarian and vegan cuisine with Gianluca Pardini. Good EVOO can garnish any kind of food! Olio Centonze x Maserati Japan マセラティ ジャパン!! 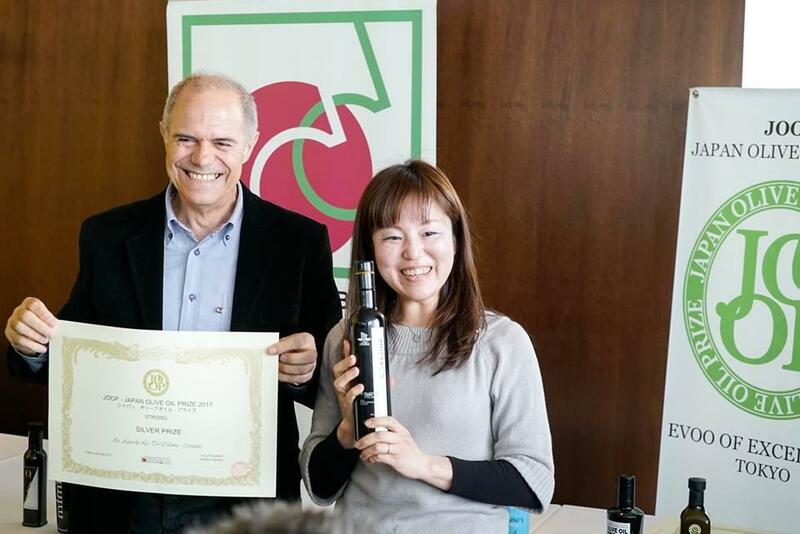 JOOP Award-winning oil from Sicily chosen as a special gift for owner’s club members who attended the reception party in Nagoya. 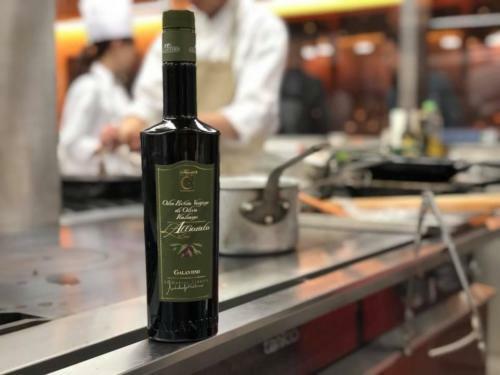 Nine awards winning EVOO from Italy, Spain and Greece have been chosen to represent the Mediterranean excellence during an event organized by the ICCJ Tokyo, Spanish Chamber of Commerce in Japan and Greek Chamber of Commerce in Japan. 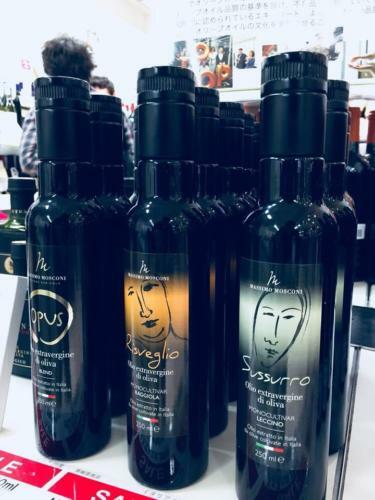 Olio Intini Fonte Di Foiano Fattoria Ramerino Mythocia Greek Olive Oil LIA’ Premium Extra Virgin Olive Oil Sakellaropoulos Organic Farming Maestros de Hojiblanca Almazaras de la Subbética Olivar de Segura, SCA. JOOP 2018 P.D.O. 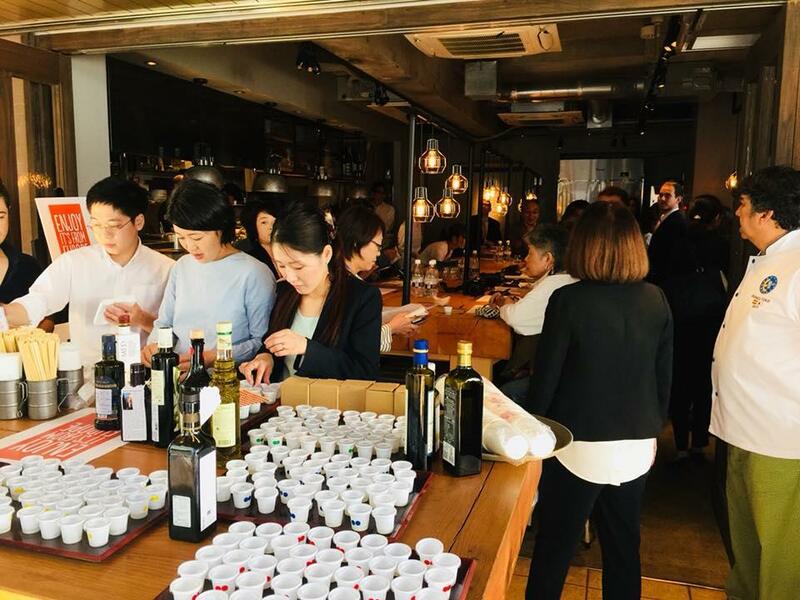 winners EVO DOP Tuscia (Colli Etruschi Blera) and DOP Umbria (Frantoio di Spello) featured and Italian aperitivo in Tokyo! 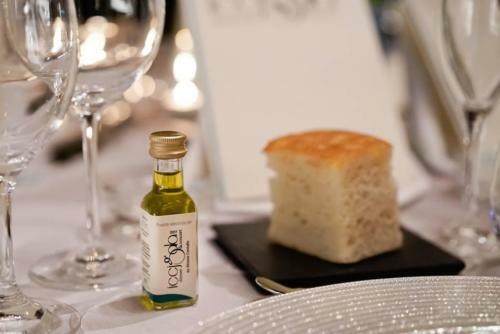 Only the quality EVOO to enhance our food! JOOP 2018 Winners from eight different countries featured a networking party with more than 300 people at Roppongi Hills Club – 六本木ヒルズクラブ. 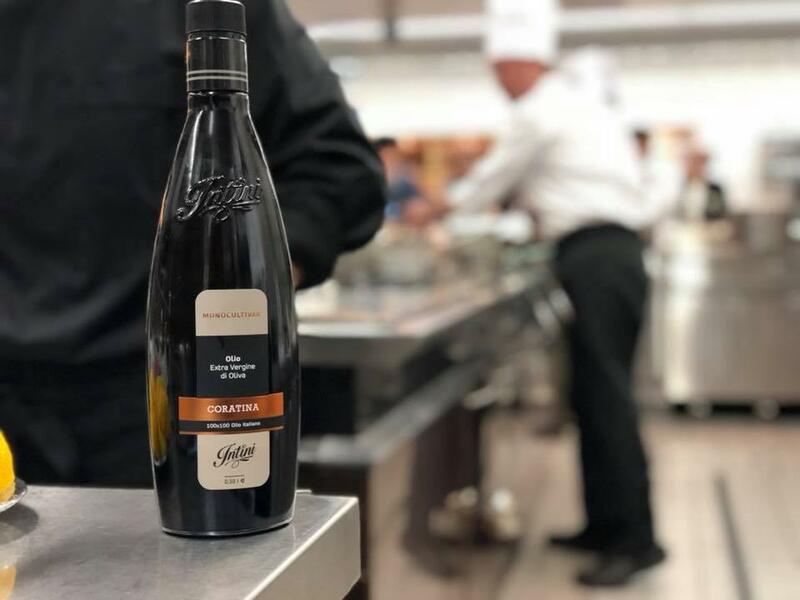 A great spotlight for our EVOO! Trophies and certificates will be delivered during the next days to all our winners around the world. Thanks to everybody for participating and stay tuned for more promotional activities! 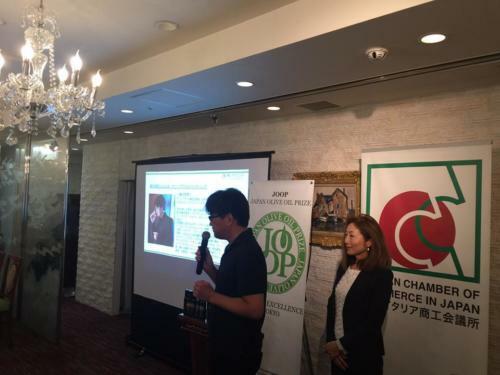 JOOP 2018 was featured on many Japanese media! 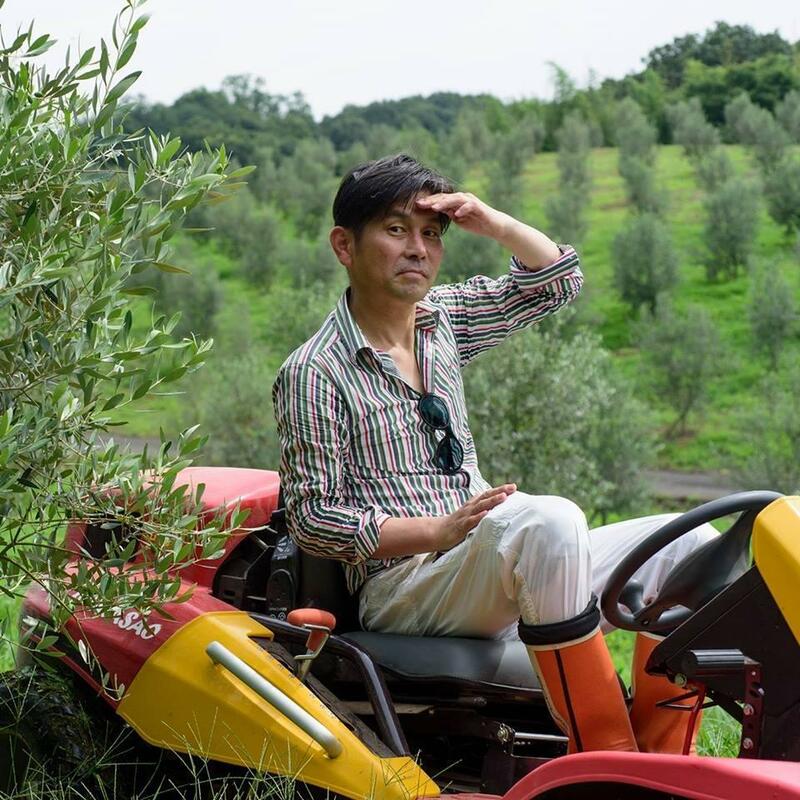 Here are the articles from “yūshi” (油脂) and “Taru” (たる), two of the most specialized magazines on EVOO and food! 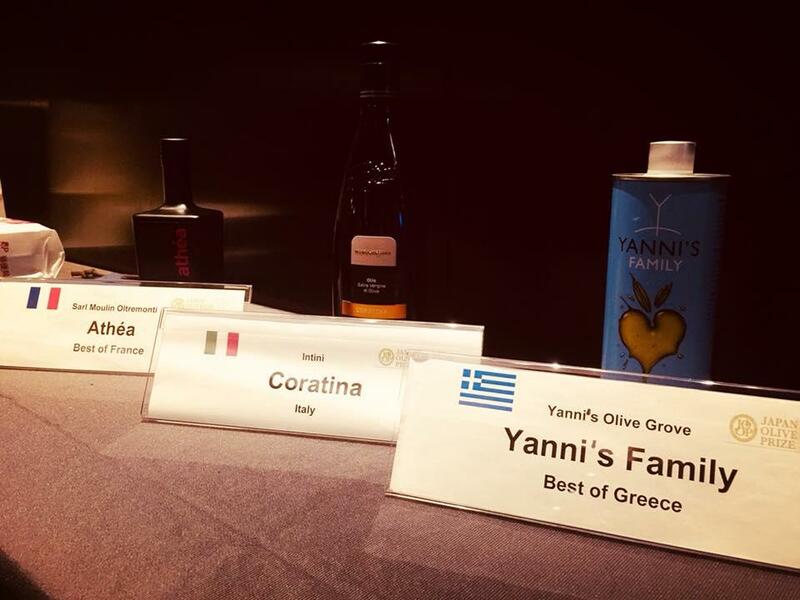 JOOP Best in Class Winners Oilalà Monocultivar Coratina, Goya SpainSpecial Edition and Mythocia Greek Olive Oil Olympia Organic to represent the excellency of Mediterranean culture during a seminar aboard the MSC Splendida on a cruise from Yokohama to Shanghai. Here we go! Official pictures of JOOP 2018 Award Ceremony are finally available. Once again, we would like to thank our sponsors AegeanExportersAssociation, Assaggiaolio, FARA Vetrerie e Cristallerie , Vetroelite, BUREAU & B-SITE Serviced Apartments for their essential support. 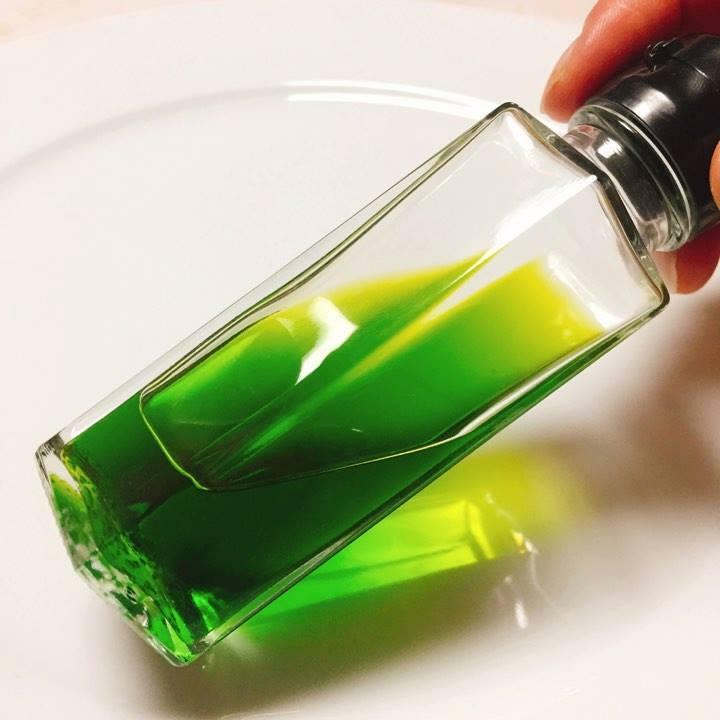 How to taste EVOO? This is what our 2-day professional course was about. A special thanks to our Jurors who taught the class after an entire day of tasting! JOOP 2018 has finally started! 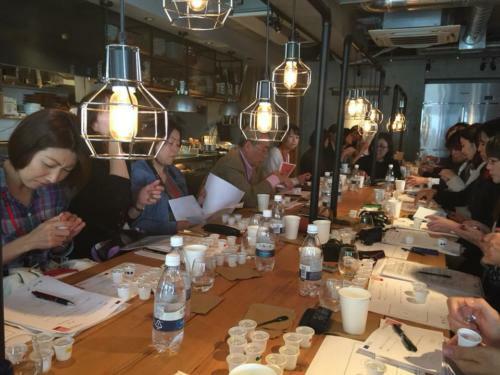 Our jurors are going to work hard in the next 3 days to determine the best EVOOs in the world. 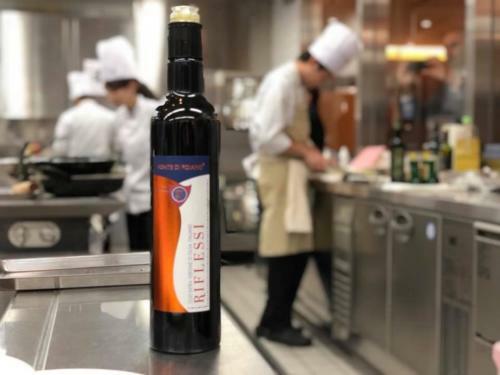 A big thank you to our sponsor FARA Vetrerie e Cristallerie, Assaggiaolio,Vetroelite, Aegean Olive and Olive Oil Exporters’s Association, BUREAU & B-SITE Serviced Apartments to support the competition. We are happy to announce Aegan Olive and Olive Oil Exporters’ Association as our new GOLD Sponsor. Their great support has allowed many EVOO producers from Turkey to enter JOOP 2018. Everything is ready. 218 oils from 13 countries are waiting for our jurors. We wish every oil all the best. Assaggiaolio, the official #JOOP taster, has finally arrived! A piece of craftsman from FARA Vetrerie e Cristallerie, created in hand-blown glass following the International Olive Council standards. Do you want to try it? Then register to our Introductory course on professional olive oil tasting! An amazing result for JOOP! Early bird registration closed on February 28th with 207 entries! Did you miss it? Don’t worry! Regular registration is open until March 31st. 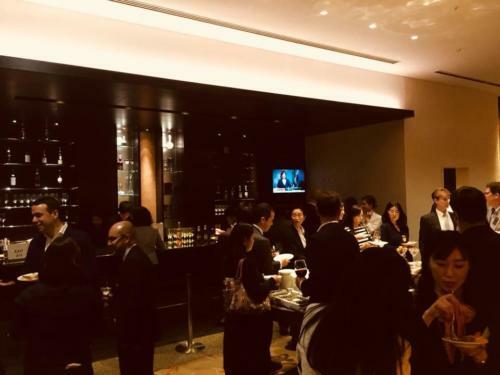 LAST DAY to enter JOOP 2018 at a discounted rate! We have already received more than 180 entries from Australia, Croatia, France, Greece, Italy, Japan, Portugal, Spain, Tunisia, Turkey and US! Now it’s your turn! 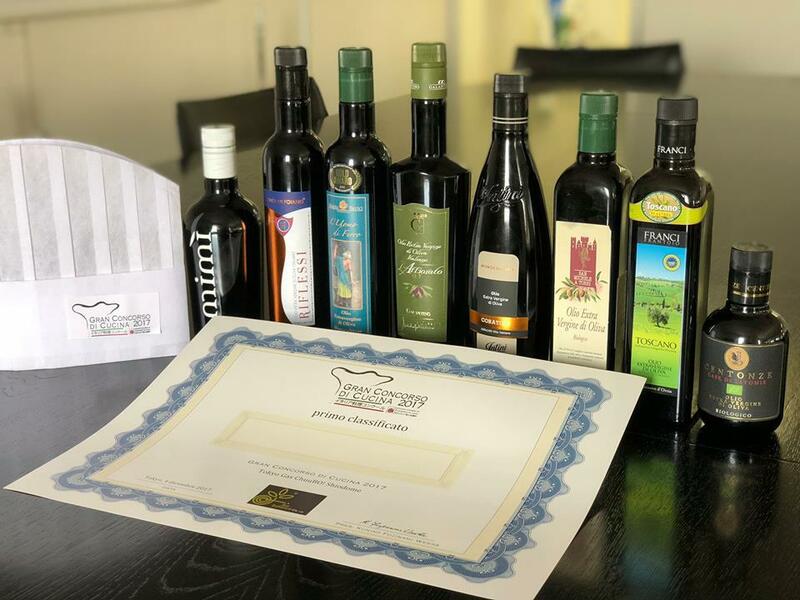 Join now to compete among the best EVOO in the world! Good Monday everyone! Time is running out: only three days left to enter the contest at a discounted rate! Good morning everybody! Last ten days to benefit from early bird registration fee (€ 150,00). Is your EVOO ready? Enter the contest and find out! 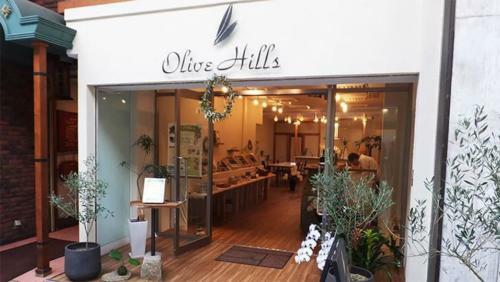 •Reed diffusers and other perfumery, cosmetics and body care products. Visit the official webpage of our new sponsor at the link below and have a look at their excellent products! It’s February. You have until the 28th to benefit from an early bird discount on the participation fee (€150). 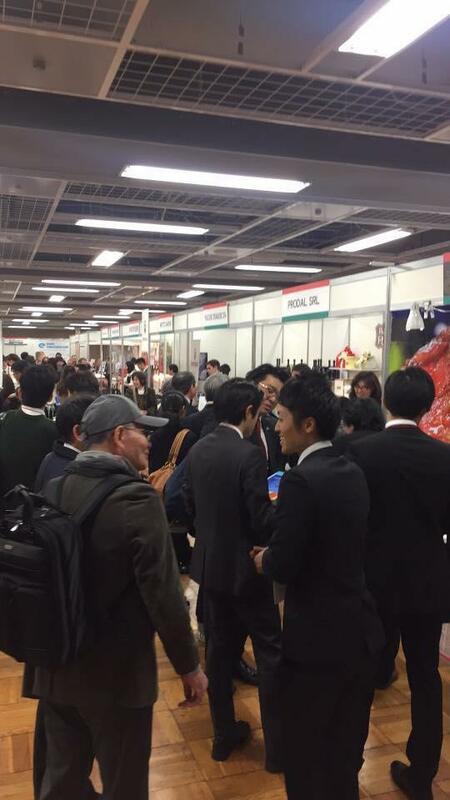 The time to showcase your oil on the Japanese market has come. Join the contest now! JOOP is synonymous with excellence. Throughout the years, that excellence has been recognized by many. JOOP is now supported by FARA Vetrerie e Cristallerie, one of the best olive oil taster manufacturer in the world. Assaggiaolio, created in hand-blown glass following the International Olive Council standards, will be the official taster used by our jurors during the competition. JOOP Organizing Committee wishes you all a wonderful 2018! Now is the time to put your oil in the spotlight! Take advantage of the early bird registration fee and sign up now! 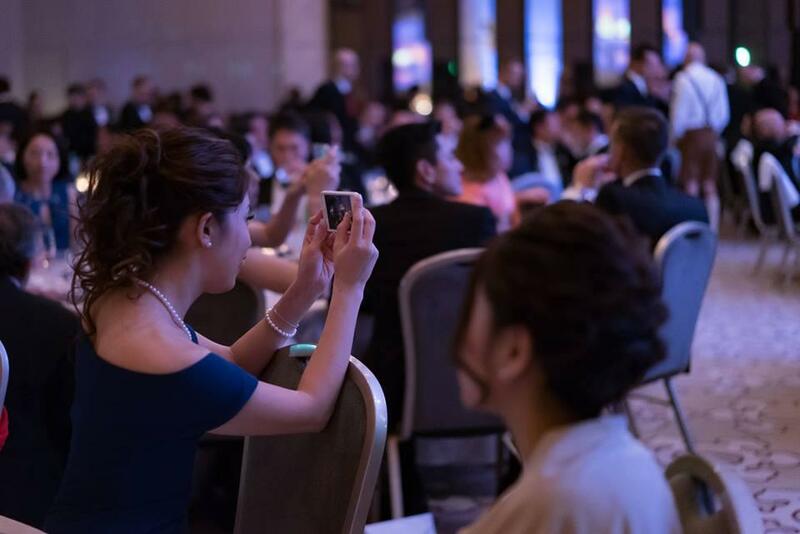 ICCJ Gala Dinner & Concert. 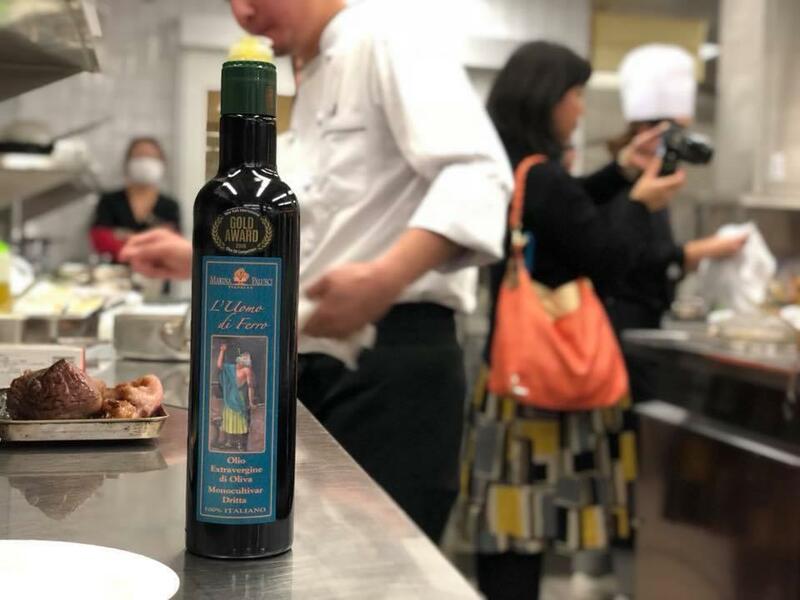 420 guests, 70 sponsors, one chef and his oil. 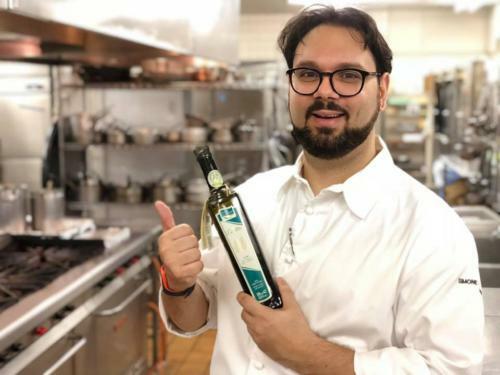 Simone Cantafio has chosen Olearia San Giorgio for his special menu. 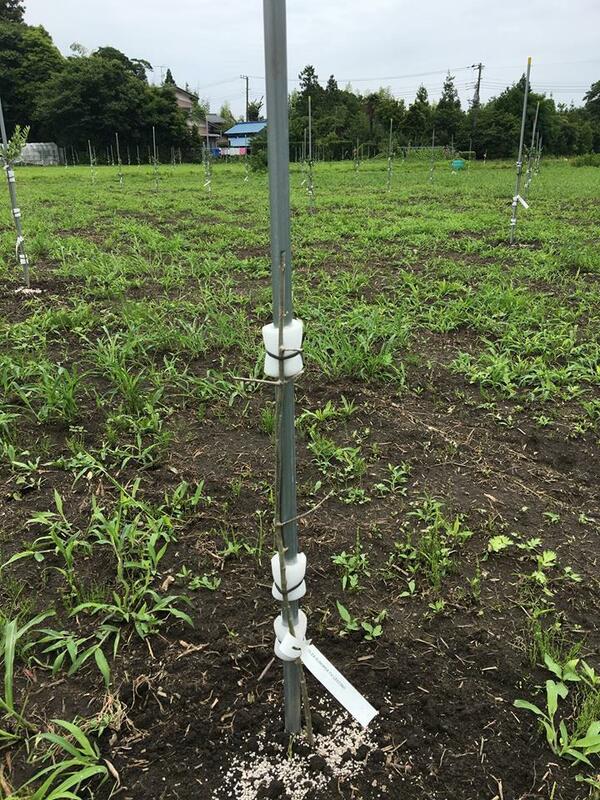 JOOP can increase the visibility of your oil in Japan. Enter the 2018 contest now! Here is the winner of イタリア料理コンクール – Gran Concorso di Cucina2017, Sampath Bandara! The oil he used is L’Uomo di Ferro Marina Palusci! Congratulations! 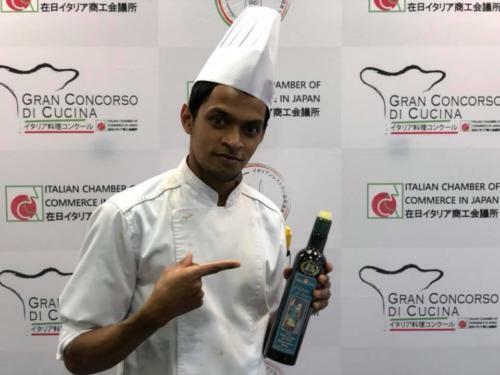 Eight chefs will challenge each other on December 4 during the final of “イタリア料理コンクール – Gran Concorso di Cucina 2017”, the most important Italian cuisine competition in Japan. Here are the olive oils they will use for their dishes that will be served to jurors, Institutional Representatives and media. JOOP is the way to get your oil recognized in Japan. What are you waiting for? Join the 2018 contest now! 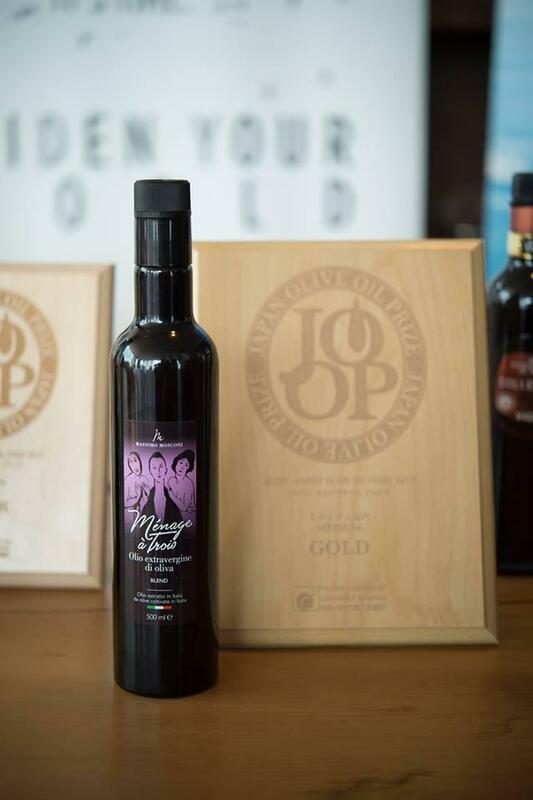 JOOP award winning Italian olive oils were displayed at ACCI gusto. Our contest can give your oil the chance to get recognized! Join now the 2018 edition! Promoting extra-virgin olive oils of all origin in Japan is the reason why JOOP was established. Today we introduce one of the best olive oil producers from Takamatsu in Shikoku Island, Japan, who will participate at JOOP 2018: Olive hills. Visit the website below for further info! 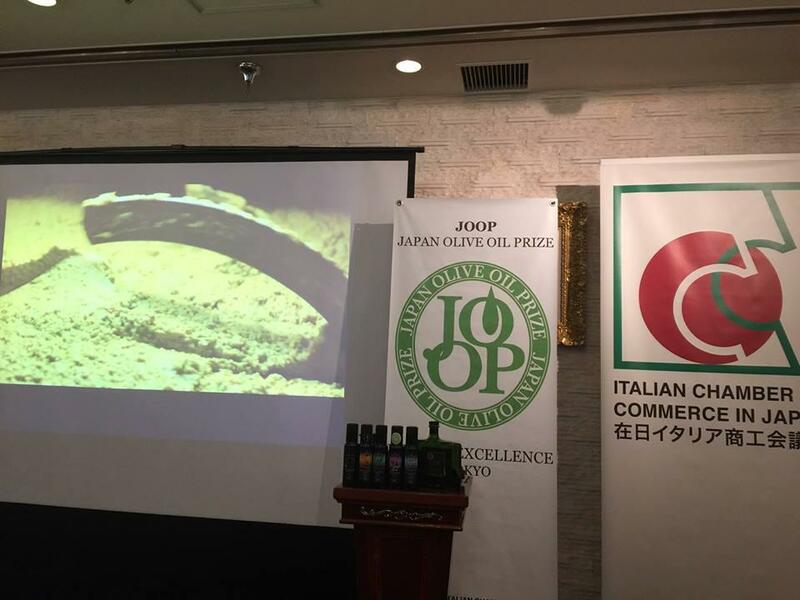 Registration for JOOP (Japan Olive Oil Prize) 2018 now open! EU olive oils seminar and tasting session in Azabu Juban. 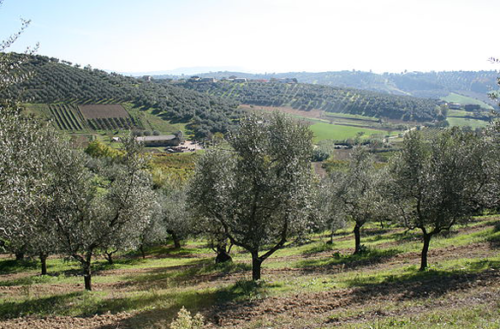 Do you want to taste and buy some of the best olive oils in the world? Come visit our stand at 大丸東京店 Daimaru Tokyo 11F until October 17! 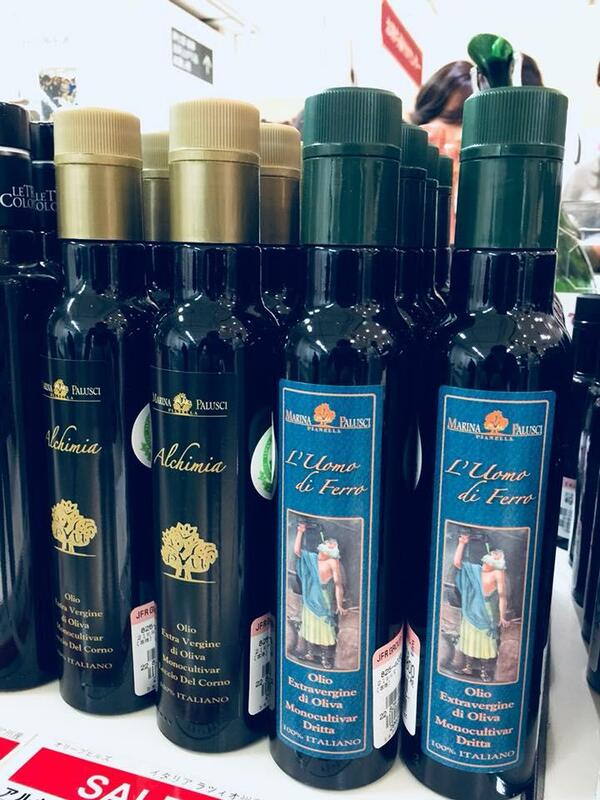 Emozioneolio, Marina Palusci, Le Tre Colonne and Olio Centonze are waiting for you! 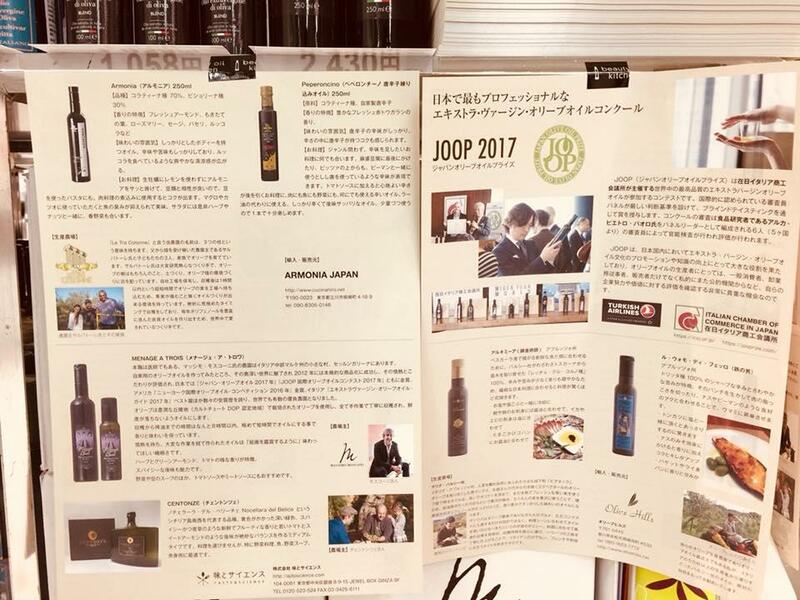 JOOP 2017 Awards winning olives oils ready to be be given away at Networking Party at Oakwood, Tokyo. 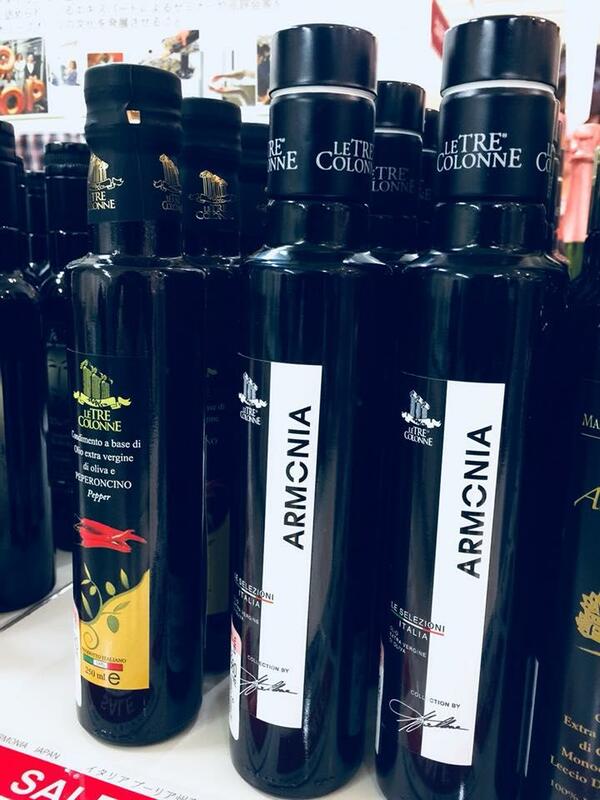 Moulin Oltremonti’s Athéa, Yanni’s Olive Grove’s Yanni’s Family and Olio Intini’s Coratina. 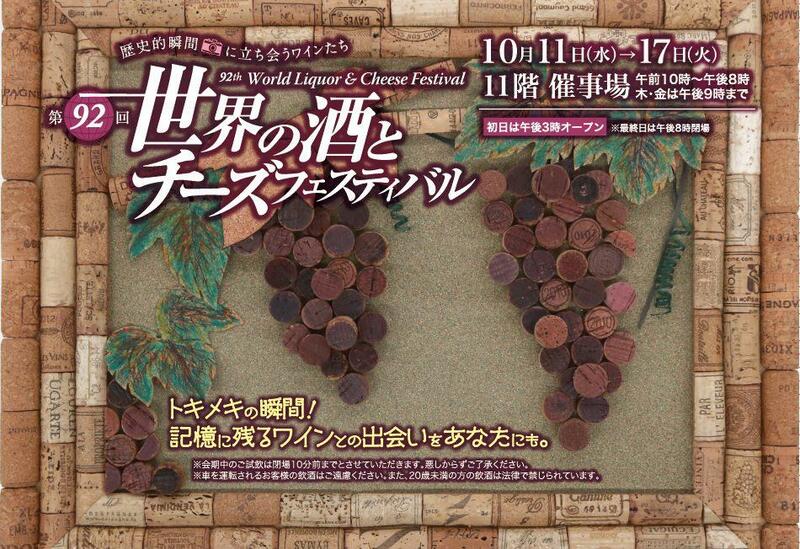 JOOP 2017 awards winning olive oils will be displayed and ready for sales at “92nd World Liquor & Cheese Festival” held in Daimaru Tokyo, October 11th～17th. 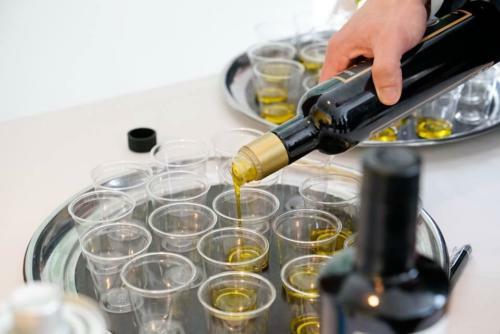 Don’t miss a fantastic opportunity to taste and buy some of the best olive oils in the world. Come check it out!! ICCJ Tokyo and Taste&Science (株式会社味とサイエンス) together for a promotional event of JOOP-Japan Olive Oil Prize winning olive oil Massimo Mosconi and Olio Centonze in Ginza, Tokyo, Japan. 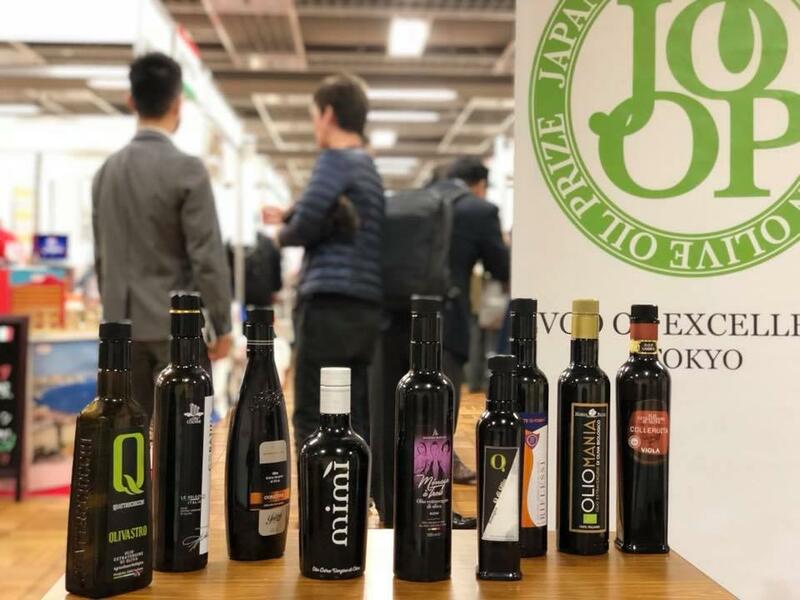 JOOP award winning olive oils from Europe were displayed at the “Mediterranean Night” in Tokyo held by the ICCJ Tokyo (Italian Chamber of Commerce in Japan), the Spanish Chamber of Commerce in Japan and the Greek Chamber of Commerce in Japan. Almost two hundred guests tasted these exceptional oils. 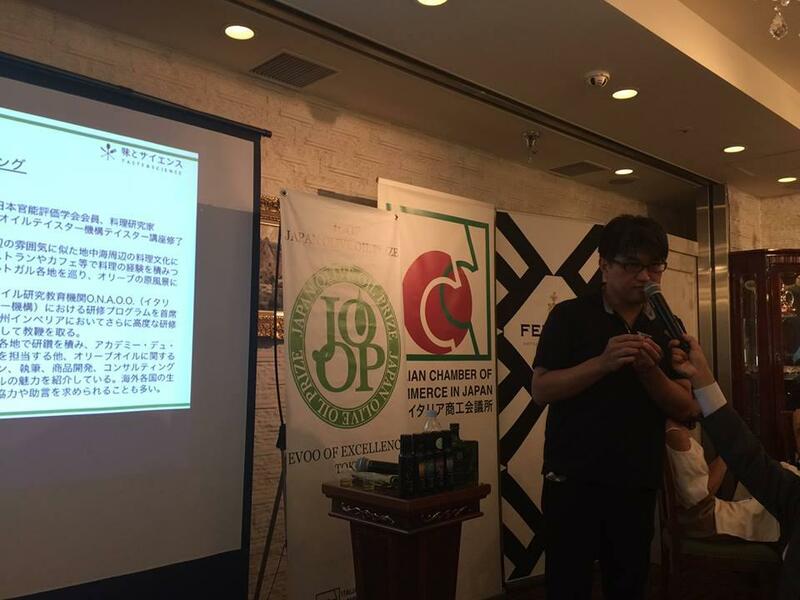 Tarzan, the most important fitness magazine in Japan, speaks about JOOP! Olive oil is essential for a healthy lifestyle!